A businessman was traveling in the train and his seat was reserved in the last couch of the train. Every time the train stops at station and he faced so much of problem as all shops to purchase eatables were far off. He was very upset and every time he was remembering that's all happened because I am in the last couch. When he got down at the destination station, he asked the station person that he wants to lodge a complaint against the railway staff. 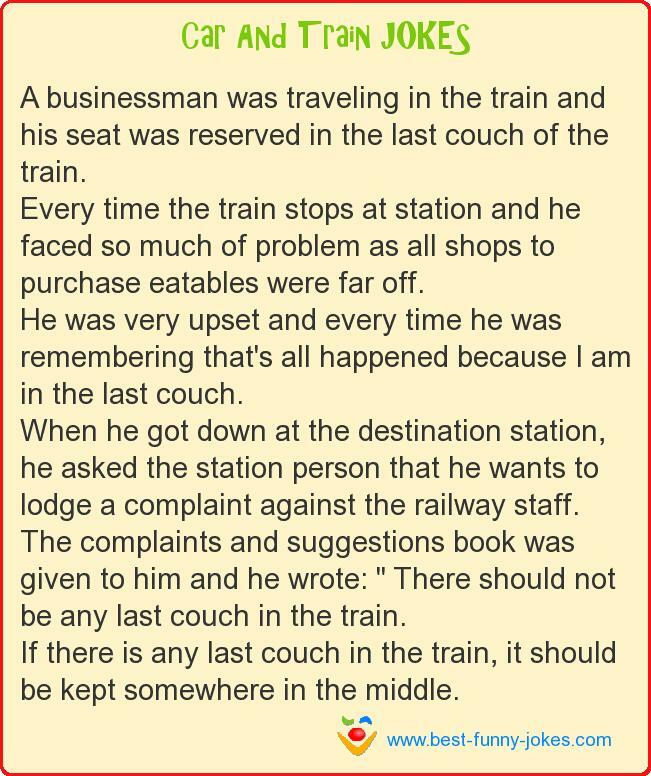 The complaints and suggestions book was given to him and he wrote: " There should not be any last couch in the train. If there is any last couch in the train, it should be kept somewhere in the middle.